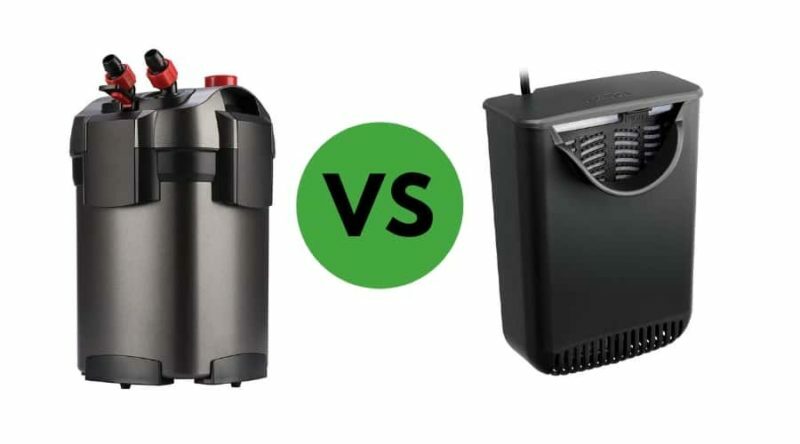 At some point as an aquarium hobbyist, you likely heard talk of the so-called “Bio-wheel filter” and how it delivers superior power and biological filtration comparative to other cartridge filters, right? Essentially combining the ease of use of a power filter, with the strength you’d more commonly associate with a larger canister filter. 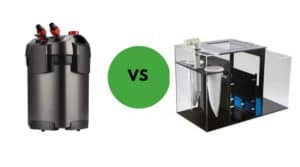 Both deliver three stage filtration, but you might have wondered how things stack up when it comes down to a good canister filter vs a bio wheel. I was wondering too, so I decided to take a look at both and find out for sure how they compare. The Bio-Wheel purports superior convenience, and to this there is truth. 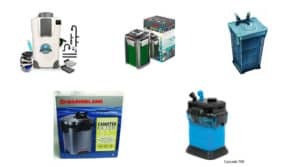 The installation process is broken down into five steps, none of them particularly challenging: place the filter on the aquarium, install the cartridge, slap on the intake tube, make sure the bio-wheel isn’t damaged, then turn it on. Compare that to a canister filter. 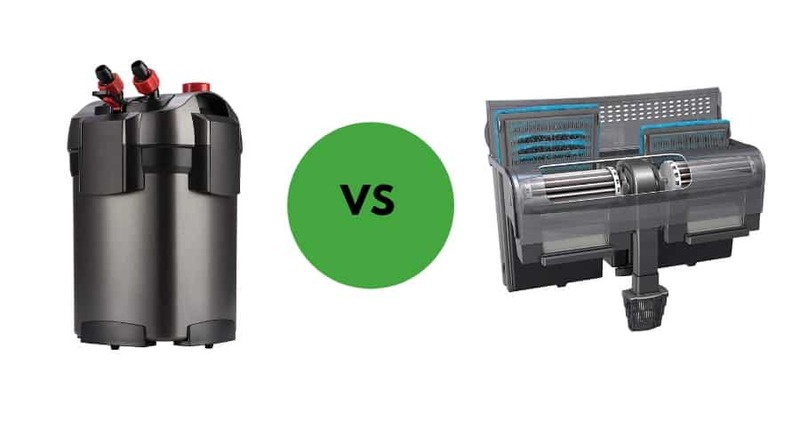 We don’t need to belabor the point, but the setup process is often an ordeal all its own, requiring a significant investment of time and labor as you sort out, connect, and test all the multiple components of the filter. It’s such a complicated process that complete guides and YouTube videos explaining the procedure have been made on the topic, as the instructions that come with most filters simply do not offer sufficient guidance. 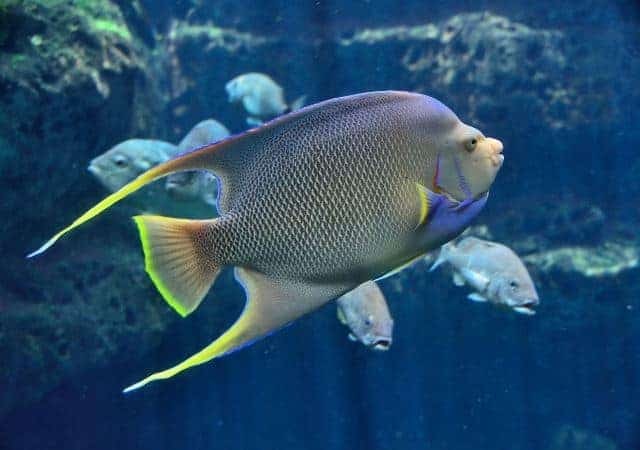 You likely already know plenty about your filter, and how it pumps pressurized water from your tank through a series of media baskets housed inside of it to clean your water before distributing that water back in the aquarium. What about the Bio-Wheel though? Is it just like any other power filter? It hangs on the back of your aquarium like an ordinary power filter, but within the Bio-Wheel is an indented wheel (big surprise) that turns and dips in and out of the water. This allows for the introduction of oxygen into the tank beyond what is dissolved in the water itself. The benefit? Greater biological filtration as bacteria has more to use. The standard biological capacities of the Bio-Wheel supposedly far outweigh other power filters, and theoretically most canister filters as well, due to the limited amount of oxygen present in the pressurized system. Don’t completely rule out the canister filter in this arena, though. 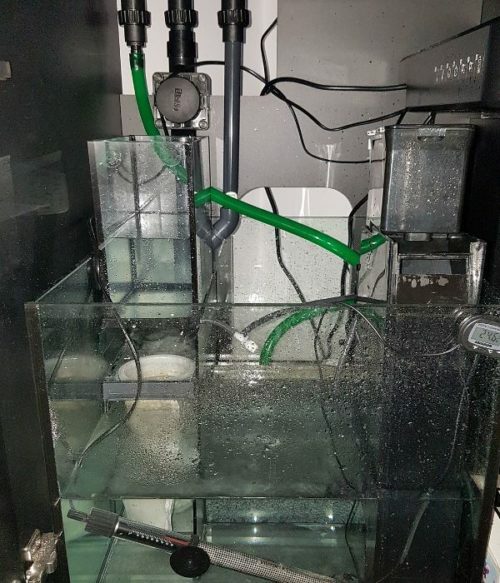 Many savvy users can make up for that lower oxygen level within the chamber by making use of filter media that have expansive amounts of surface area. The more surface area, the more bacteria can grow, and the more efficient the biological capabilities become. One must also take into consideration the fact that, while Bio-Wheels do provide some mechanical filtration, it’s nowhere near what a canister can achieve. 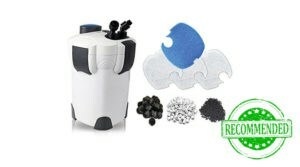 Such filters have a large space for multiple styles of filtration foams and floss. Bio-Wheels typically have only a small pad or sponge to trap debris. When it comes to chemical filtration, the Bio-Wheel can do an adequate job, but is limited to activating carbon mainly. The canister filter, on the other hand, is perfect for mixing it up. There’s a wide array of custom chemical filtration products aside from activated carbon, and they can make use of almost all of them. What about capacity and flow rates? While it’s true, you can find Bio-Wheels with a capacity/flow rate listed at 70G/350GPH, a vast improvement over many other power filters; this still doesn’t compare to the big boys. 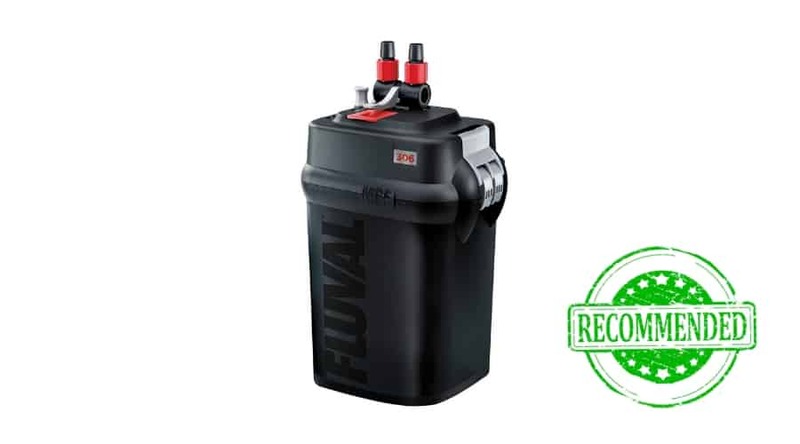 My personal favorite, the Fluval FX6, has a capacity of 400 Gallons, with a pump output of 925 GPH and a filter circulation of 538 GPH. You may have heard a rumor that Bio-Wheels are self-cleaning and require no maintenance. This is false. While it’s recommended that you not thoroughly clean off the actual wheel (as this is the source of your beneficial bacteria), you still need to maintain the filter cartridge every 2-4 weeks. 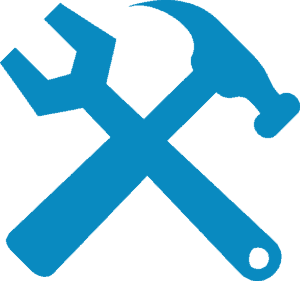 It’s also possible that your filter will have some mechanical issues that need addressing, such as the axle getting jammed, or the Bio-Wheel making excessive amounts of noise. It’s still less than the maintenance process for a canister filter, though, which needs to be taken apart and have individual parts rinsed periodically to preserve optimal functionality. If it is an unusually heavy model, you’ll have plenty of fun dragging it to the sink for a wash! 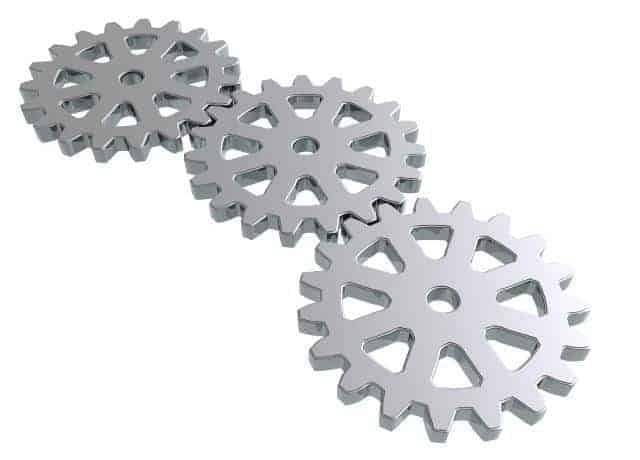 Bio-Wheels indeed provide a good option for biological filtration and their ease of use and low price are also beneficial. 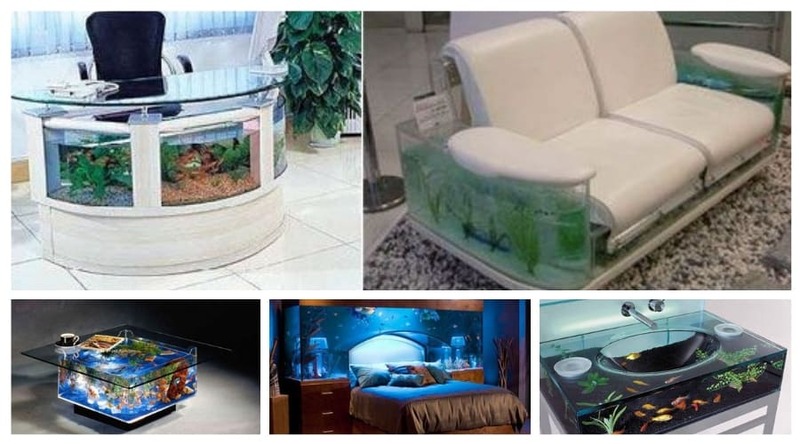 For smaller aquariums and first-timers, they are definitely a solid choice. 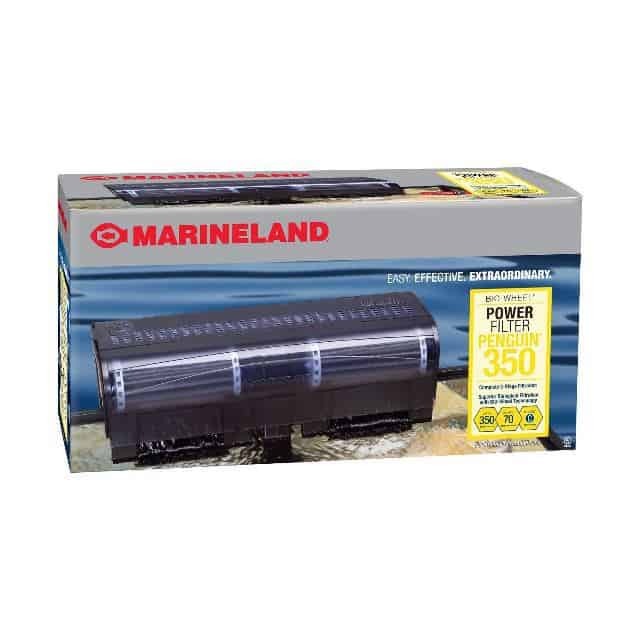 Their shortcomings, however, only having average power and reduced mechanical filtration in comparison to canister filters, makes the latter the superior choice if you have a larger tank, lots of fish, or want to operate a saltwater tank. The differences don’t end there, mind you. While they do offer plenty of oxygen for biological growth, the surface area on the Bio-Wheel isn’t as large as the surface area the filter media can contribute, provided you get the right variety. 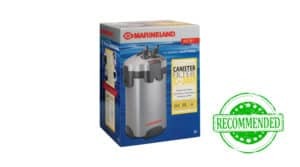 For all around use, the canister filter is the best choice. I’ve said it before; the Fluval FX-6 is a top-tier filtration unit. It’s costly, but the amount of versatility, power, and media storage capacity justify the price tag. Whether you’re caring for fresh or saltwater livestock, it can clean your water appropriately. 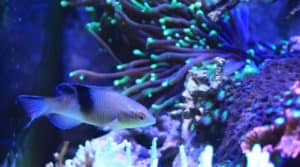 Can I Use A Canister Filter For A Saltwater Tank?